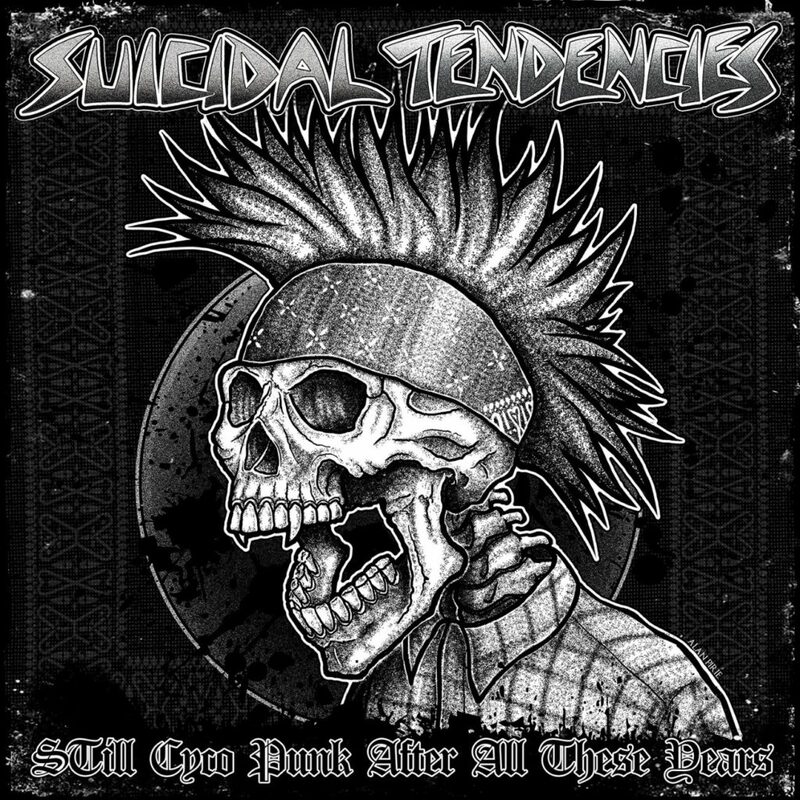 Heavy music legends SUICIDAL TENDENCIES recently announced the upcoming release of their latest album, STill Cyco Punk After All These Years, out September 7, 2018. STill Cyco Punk After All These Years is a re-recording and re-imagining of a Cyco Miko (Mike Muir) solo album recorded in 1995, originally entitled Lost my Brain! (Once Again). The album is an auditory time capsule – a full-on Cyco Punk record taken to a whole new level – featuring legendary drummer Dave Lombardo brutally beating the songs and sound that is made to get your slam on. In conjunction with the release, SUICIDAL TENDENCIES is pleased to reveal details about their upcoming Converse collaboration. The new Converse x Suicidal Tendencies collection will be available the same date as the new album, September 7, via Converse.com and select retailers. To celebrate, in Converse’s hometown of Boston, the collection will be available at Bodega Boston, in a pop-up on September 6 from 11:00 AM to 8:00 PM and on September 7 from 11:00 AM to 8:00 AM, before the SUICIDAL TENDENCIES show at the House of Blues in Boston. Vocalist Mike Muir’s relationship with Converse started long before SUICIDAL TENDENCIES. “When I was young, I still remember getting my first pair of ‘Chucks’ for my birthday and how stoked I was to wear them to school the next day,” says Muir, reflecting on the iconic sneaker. “It was almost like a rite of passage, the beautiful thing about them is whatever ‘direction’ you were headed, you could go there with your Chucks. 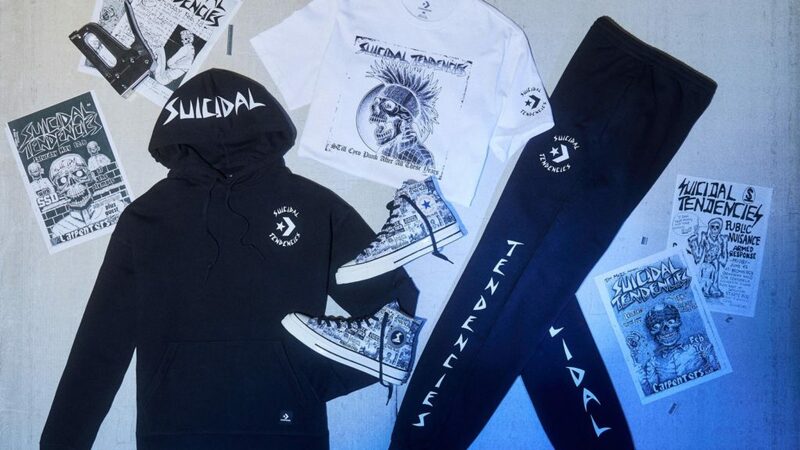 Converse x Suicidal Tendencies is a collection of Chuck 70’s and accompanying apparel based on digital and screen-printed graphics in the classic style of Ric Clayton, who designed posters and fliers for the band back in the ‘80s. The Chuck 70 HI’s vintage canvas upper features an all-over digital print and the SUICIDAL TENDENCIES leather patch on the lateral side. An Ox version, comes in black with an all over digitally-printed lining. The SUICIDAL TENDENCIES logo is printed on the tongue and heel. Both the Hi and the Ox pair feature two sets of additional laces including a SUICIDAL TENDENCIES printed logo lace. All apparel, which feature original, screen printed SUICIDAL TENDENCIES artwork, include a woven poplin shirt, two pull over hoodies, a pair of sweatpants, a pair of sweatshorts, one long sleeve tee, and two short sleeve tees. The footwear will retail for a suggested retail price of $90-$95 USD. Apparel will retail for SRP of $35-$80 USD. Vocal Legend ENGELBERT HUMPERDINCK Delivers “Warmest Christmas Wishes” on Oct. 12th!